‘Shopo’ App by Snapdeal ! Today I want to introduce to you a cool new interactive buying & selling App – ‘Shopo’. ‘Shopo’ is a new app launched by Snapdeal, with which a seller can interact with the customer and sell his product. 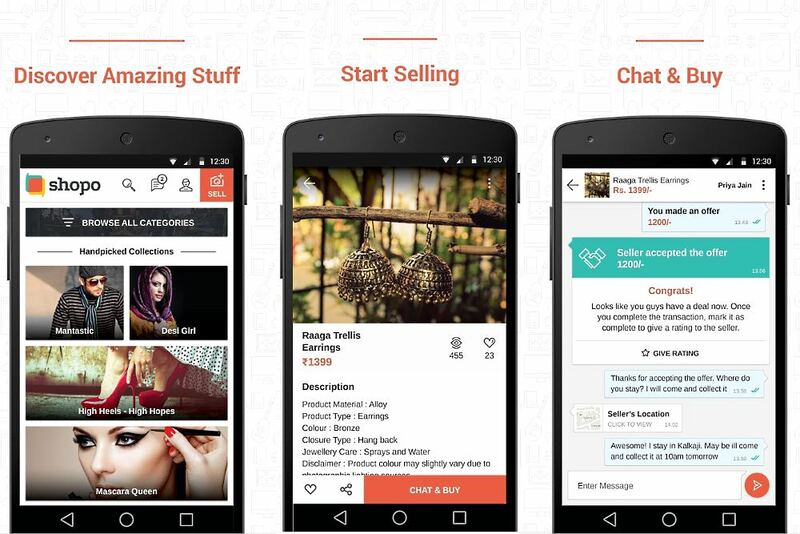 The app is a zero-commission marketplace which lets sellers register for free and interact with buyers via chat messages.It helps you discover beautifully curated collections from hundreds of markets & sellers, across India, everyday! The Shopo app is a mobile-only platform and is available on Android here and iOS here. On Shopo, you could also become a Shopoangel and curate a collection and become a trend setter. Your collection will be featured on Shopo’s homepage & will be viewed by thousands of people every day! As a fashion blogger I was fortunate to get a chance to curate a fashion collection for Shopo as a Shopoangel. As I was going through the products listed on the Shopo App, I was totally spoilt for choice, as they have a wide variety of super fashionable products . I choose the theme ‘Prints Mania‘, it includes a set of products in a variety of interesting prints curated by me from an fabulous array of products on the Shopo App. If you have been following my blog regularly, you must be aware of my ardent love for prints. I don’t think I have ever met a print I didn’t like. So my ‘Prints Mania’ collection on Shopo has a very interesting mix up of a variety of different prints ranging from florals,quirky prints & slogans, stripes, aztec, animal prints, the trending grid pattern, galaxy print to geometric prints.I curated products ranging from summer dresses, party dresses, capes, skirts, skirts,twinsets, anarklais, jackets, bags, clutches, necklaces to even cool printed phone covers. My absolute favourite pieces from my ‘Prints Mania‘ collection on Shopo was this floral printed short jacket, this floral skater dress and this beaded box clutch with a geometric print. You can view by entire ‘Prints Mania’ collection on the Shopo App here. If fashion is your thing and you think your opinion for trends is on point then you gotta be a Shopo Angel! Check out the details here today and you too like me could have a collection especially curated by you that is featured on the homepage of the Shopo App and get a chance to bring out the fashionista in you! All in all there are some super chic and totally bang on trend products listed on Shopo and you can find everything a fashionista would require from clothes, jewellery, accessories, bags, beauty & cosmetics to even other things like arts, home decor, mobile accessories, electronics, food stuff, kids stuff to books and stationary. I already have a lot of things on Shopo on my wishlist and also may look to list things to sell to in the near future. 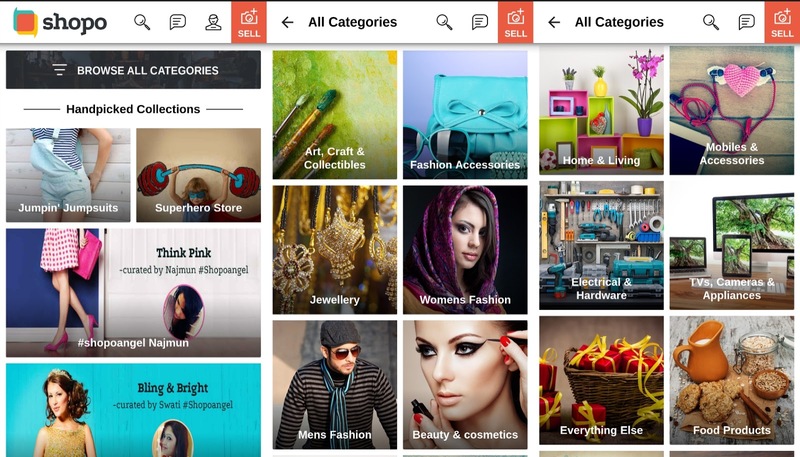 1.Shopo makes buying & selling super easy, fun and social. Shopo charges no fees or commission for use of its platform, and lets small businesses and individuals set up an online shop instantly through its app. In age of smartphone addiction, it is as easy as clicking a picture of the product to want to sell, upload it on the App with a description and get set to sell it online right away. It’s the quickest way to create an Online Store and sell anything ranging from clothes, accessories, beauty products, cosmetics, books, laptops, mobiles, home products, and many more. Shopo has a simple registration process for sellers, and once you’re in, you will see an incredible collection of hand-curated products. It’s the chat part of the product that builds the trust. In the process, you can do actions like make an offer, rate the buyer or seller. Snapdeal is not involved in logistics at this moment of time. A seller is responsible for shipping and payment of the products. So remember, if you are looking to buy, sell online in quick way, Shopo is the right place to register, here for Android and here for IOS.